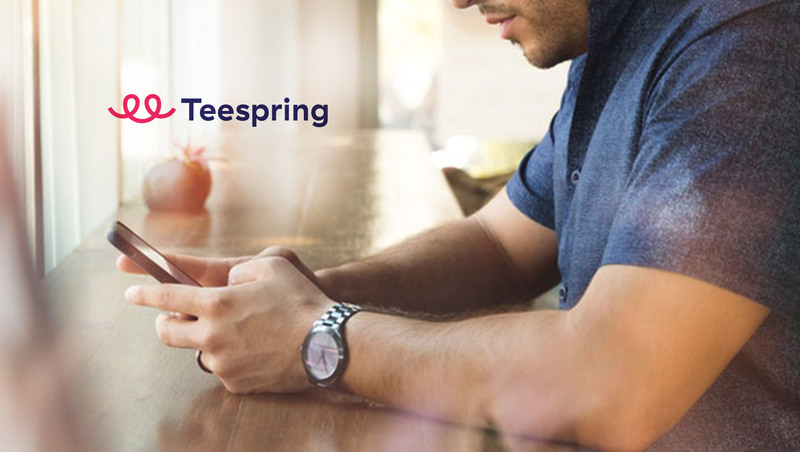 Teespring, the ‘create & sell’ commerce platform, announces its profitability following a dramatic turnaround after years of turbulence, which had the business burning millions of dollars and facing near death in 2016. Teespring graduated from Y Combinator in 2013, and was backed by some of Silicon Valley’s top VC’s including Khosla Ventures & a16z. Despite the investment, the business struggled due to a heavy reliance on the digital ads eco-system. Under the new leadership of British CEO, Chris Lamontagne, the company is showcasing improved operational efficiencies and deep diversification in new growing revenue channels through strong commercial partnerships with Youtube, Amazon & eBay. Lamontagne has been with the business through its darkest days, leading the way to orchestrate the successful turnaround. This year, Teespring are projecting to hit the $1Bn mark in lifetime sales. Although e-commerce has continued to see steadily sustained growth (custom apparel is a $75bn space), Teespring’s place in the industry has been volatile, even as a leader in the market, the business lost its footing in its offering within the industry. This forced the leadership team to stand back to evaluate and understand its own identity ‘a platform, not a marketplace’ – Fully focused on helping it’s customers successfully create and sell products online. To date, Teespring has had over 400,000 successful creators and over the past 7 years driven over $400m in profits for customers, ranging from Top Youtubers like Phil DeFranco and CaptainSparklez, celebrities like Will Smith & Beyonce, Media Companies like Buzzfeed and Givling right down to individual entrepreneurs like self made millionaires Norlito Baclayen & Shloka Raaj. Teespring’s actions over the past two years demonstrates the company’s mission to empower and support its creators, and their consistent understanding of what appeals to its consumers. Despite its hardships, Teespring now finds itself in its strongest position to date, with a positive and propitious future lined up.